Most Comprehensive Study of Its Kind Reveals How Couples Make Their Own Traditions, Express Their Love Story in Every Detail of Their Weddings. Gen Zers, the Future Generation of Wedding Planners, Also Plan to Steer Away From Conventional Tradition as 8 in 10 Desire to Twist Existing Ones, Merge Cultural Customs, or Create Their Own for Their Future Weddings. 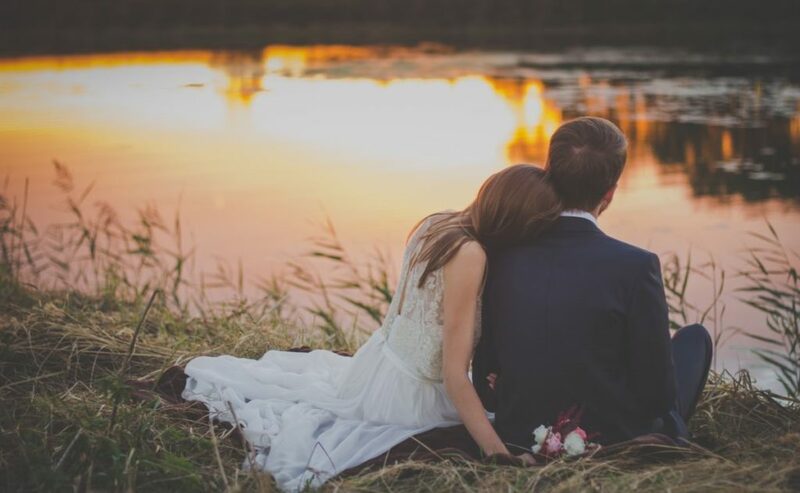 NEW YORK, Feb. 14, 2019 /PRNewswire/ — Today, The Knot releases findings from The Knot 2018 Real Weddings Study, the most comprehensive study of Americans married in 2018. The 12th annual wedding industry report, the most trusted and comprehensive of its kind, surveyed more than 14,000 US brides and grooms married in 2018 between the ages of 18 and 65+ to uncover how couples are planning, personalizing, spending and celebrating weddings in America. In 2018, the national average cost of a wedding was $33,931. Couples are financially and emotionally invested in their weddings—not just to wine and dine guests ($2,564 average cost of libations per wedding; $70 average catering cost per guest), or dance the night away in gorgeous attire ($1,631, average wedding gown cost), but to celebrate their love in a big way with the ones they cherish most (136, average number of guests). The traditions of wedding dresses, desserts, music and flowers are still the cornerstones of a great wedding, but now they’re being brought to life in a million different shades of amazing. Whether it’s a couple embracing their bohemian vibes and lifestyle with a macramé-draped wedding arch at their ceremony site, or honouring their Mexican cultural heritage with sugar-skull cake toppers, couples across America and The Knot believe in one wedding tradition: Always make it your own. This year, for the first time ever, in addition to The Knot Real Weddings Study, The Knot also conducted a survey with Generation Z1 (ages 14-23) to understand how they view and plan for their future weddings. New traditions will pave the way as the younger generation continues to twist existing ones, merge cultural customs, or create new ones altogetherfor their future weddings. The majority of Gen Z respondents (87%) reported seeing themselves getting married in the future. And when it comes to planning, one in five (22%) Gen Z respondents anticipate hiring a professional to plan their weddings. Timeless, heartfelt celebrations of love and commitment are here for generations to come. COUPLES RECLAIM AND REDEFINE SOME TRADITIONS, TOSS OTHERS. The unity ceremony isn’t going anywhere, but how couples signify their unity is evolving. In addition to using sand or candles, we’re seeing couples embrace their personal history and cultural heritage in new ways—through unity ceremonies that mix up guacamole recipes from their grandparents, blending whiskeys from locales close to their heart, or honoring a long-standing cultural unity tradition like Celtic Handfasting. While couples embrace, reclaim and redefine some traditions, they’re tossing others such as the garter toss (33%, down from 42% in 2016), and bouquet toss (45% in 2017, down from 54% in 2016). As for Gen Zers, the majority (73%) report that conventional wedding and engagement traditions do matter to them, but only one in five (18%) shared that they plan on observing tradition conventionally. On trend with what’s happening in today’s weddings, 82.6% of Gen Zers shared they will incorporate tradition into their future weddings by twisting, merging or creating their own customs in celebration of their love. COUPLES RELY ON THE PROS TO HELP THEM CREATE A CELEBRATION THAT REFLECTS WHO THEY ARE AS A COUPLE. Couples depend on the professionals to bring their wedding vision to life. In 2018, one in three couples (29%) hired a professional planner/designer to turn their wedding inspiration into reality. Two in three couples (68%) relied on professional florists and decorators to transform their venue. Two in three (67%) couples in 2018 counted on the expertise of professional cake bakers (who spend an average of 15.4 hours on each wedding cake2) to craft a decadent dessert for the couple to showcase and share with guests. And nearly all couples relied on professional reception venues (86%) and caterers (95%) to host and dine their guests. WEDDING PARTIES GET A REMIX WITH FURRY FRIENDS, MEN OF HONOR AND BEST WOMEN. Choosing who stands by your side on your wedding day is a key component of the wedding experience. Couples are branching out from conventional tradition by inviting their furry friends (7%) to be part of their wedding party and having mixed gender wedding parties—with one in four brides (28%) opting to have men and women in their party, and one in ten (11%) grooms doing the same. Couples are also putting a spin on traditional wedding party roles, invitinggrandmothers to be flower girls and moms to serve as matrons of honor. WEDDING FASHION LEVERAGED TO SHOWCASE STYLE, CULTURE AND PERSONALITY. Couples use their choices in wedding attire to show their personal style, pay homage to cultural heritage, and exemplify their personalities. On average, brides spent $1,631 on their wedding gowns in 2018, up 8% from $1,509 in 2017. According to The Knot 2018 Wedding Attire Study, 11% of brides had more than one look on their wedding day, with second look styles ranging from wedding saris to jumpsuits. Grooms and brides who prefer to rock suits over gowns have taken to more pops of colour and customized details in their celebratory attire, like lining their jackets with custom prints and hand-stitched notes. They’re also spending more on their attire: $283, up from $211 in 2009. YOUR DAY, YOUR WAY: COUPLES CREATE DAY-OF TIMELINES TO ACCOMMODATE THEIR VISION. In 2018, one in three (33%) couples opted for a first look, allowing for an intimate moment and some alone time before the festivities began. Couples are also taking first look photos so that after the ceremony they can head straight into cocktail hour, the reception, or any other event they plan on their wedding day timeline, which can easily be created on The Knot. Cocktail hours are more popular than ever, with 4 in 5 (79%) couples hosting a cocktail hour as part of their wedding celebration. The majority of couples (80%) throw a wedding celebration lasting 2-3 days, giving them plenty of time to remix the order of events and throw a wedding their way. The majority of wedding celebrations start with a rehearsal dinner (84%), and for one third (35%) of couples, end with a postwedding brunch. WALKING DOWN THE AISLE IN STYLE: COUPLES RETHINK THEIR CEREMONY SETUP AND WEDDING ENTRANCES. Some couples choose to seat guests of the bride on the left and guests of the groom on the right. In 2018, less than 1 in 10 (9%) couples had official “sides” at their wedding ceremony. Today’s couples are mixing up how their ceremony is set up and even how they’re entering. Some couples choose to walk hand in hand down the aisle; other couples may decide to set their ceremony up in the round and meet in the middle. More than half (51%) of couples report the first time they see each other on their wedding day is on their walk down the aisle. For traditional Jewish weddings, it’s still strongly suggested that the couple each walk down the aisle with both of their parents. How couples choose to enter their wedding is a reflection of their values, traditions and personal beliefs. Once the couple reaches the altar, chuppah, mandap—or whimsical floral backdrop—it’s likely they’ll be met by a friend or family member to officiate their wedding. In 2018, nearly half (49%) of all weddings were officiated by a friend or family member. CULTURAL FUSIONS FIND THEIR WAY INTO MEANINGFUL VOWS AND UNITY CEREMONIES. One in five couples (18%) incorporate ethnic elements and traditions into their wedding, such as a Chinese tea ceremony or the exchange of an Irish Claddagh ring. Many couples fuse cultures on their wedding days, inspiring them to share the parts of their own culture they love the most with their new family, like Ukrainian groom, Andrew, and Chinese bride, Alyssa, who had a traditional Ukrainian wedding cake and Chinese lion dancers at their reception. Among Gen Z, three in four (73.1%) agree that wedding and engagement traditions matter to them, and they plan to incorporate them into their own wedding process somehow, someday. Nearly half (43.8%) of Gen Zers reported planning to merge traditions from more than one culture into their wedding, which makes sense for the most diverse generation yet. COUPLES CREATE THEIR CELEBRATIONS WITH GUEST EXPERIENCES TOP OF MIND. No detail goes unnoticed by today’s couple, who strives to create a unique and memorable wedding experience for their loved ones. One in four (38%) couples hire custom guest entertainment for their reception, including interactive stations with professionals likepoets or tattoo artists, as well as experiential foodand drink stations, like a margarita bar orcigar-rolling station. Couples are also satisfying guests’ sweet tooths with traditional tiered wedding cakes (58%) and baked goods like cookies, cannolis (36%) and cupcakes (25%). Couples are encouraging guests to capture their favorite moments on camera and share those images using tools like The Guest app. The premier photo and video-sharing mobile app for weddings and events automatically shares images from users’ built-in cameras without even opening the app—no need to hashtag or manually upload photos. WEDDING REGISTRIES PERFECTLY ILLUSTRATE THE COUPLE’S FUTURE PLANS, PERSONAL STYLE AND PRIORITIES. As couples reclaim and redefine tradition on their wedding day, they use their wedding registry to curate goods and experiences for their lifestyle, future plans, and their own traditions. By looking at a couple’s wedding registry, guests can gain insights into their priorities after marriage, whether they have a cash fund (6%) for experiences like their honeymoon (49%) or a down payment on a future home (27%), or they register for a stand mixer (46%) or slow cooker (39%)3 to spend Sundays in the kitchen together. The wedding registry perfectly illustrates how couples will spend their time after saying “I do.” Couples report their next top priorities after their wedding include planning for travel other than their honeymoon (51%); combining their finances (46%); preparing their home to frequently entertain (35%); focusing on their careers (35%); upgrading their home furnishings and décor (33%); and meeting with a financial planner (27%). The majority (58.7%) of Generation Z reported they are likely to include a charity on their own wedding registry, as they look to give back and use their wedding to make a social impact. COST CONTINUES TO BE A TOP CONSIDERATION DURING PLANNING; COUPLES TAKE FINANCIAL RESPONSIBILITY FOR THEIR FETE. Four in five (80%) couples report setting a wedding budget. Nearly half (45%) report going over their planned budget and only 6% report staying under budget. In 2018, 91% of couples contributed to their overall wedding budget, with 9% of those couples paying for their wedding entirely on their own. Nearly all Gen Zers (92%) report that being financially stable before marriage is very important to them. And when it comes to paying for their future celebrations, one in three (33%) Gen Zers predict they, along with their partner, will pay for their wedding on their own. Only 5.5% of Generation Z respondents report believing their parents would solely pay for their wedding. Among couples married in 2018, 9% contributed no financial funding to their celebration.